In February of 2007 Visual artist Jason Gandy built a life-sized wooden sailboat from salvaged materials from a set piece he built for a photo shoot by a South Korean fashion retailer. The set had been inspired by the film The Talented Mr. Ripley. The boat filled a large part of the front yard and was installed to appear as though it had shipwrecked against the front of the building. View photo gallery and click here and here for some splendid videos! 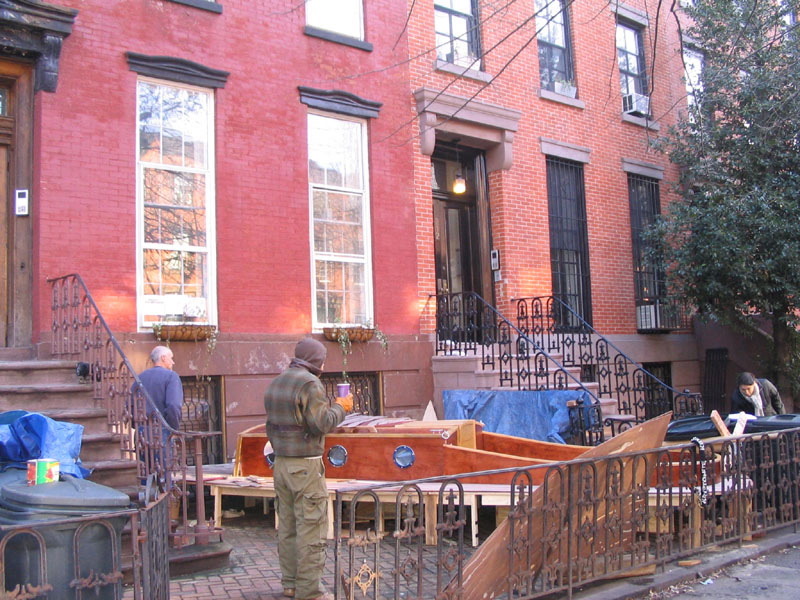 Th boat instantly became a conversation piece in the neighborhood and beyond.